Shirataki noodles, or miracle noodles as you may have seen them called have become a recent food sensation as they contain almost no calories or carbohydrates, making them an ideal substitution for normal noodles or rice in Japanese dishes. If you are on a low calorie diet or just want a healthy dish, these Japanese konnyaku noodles are a perfect option. So, anything which is this good for us must have a bad side too right? Well sort of… because shirataki contains so little of anything, it doesn’t really taste of very much. However, these noodles soak up the flavours of anything they are cooked in so today we are going to look at some ways to make these noodles taste delicious. Before you start making any recipes with shirataki, it is important to prepare them correctly to get the most out of them. Shirataki come packaged in liquid and are ready to be used straight away, but we recommend rinsing them in clean water a few times to remove the slightly “interesting” smell that accompanies the liquid. Once you have rinsed them well, you can cut them up into more easily served lengths as they can be quite long straight from the packet. After making them a manageable size, it is a good idea to boil the noodles for 2-3 minutes in a pan to remove the last of the smell and make the noodles softer. Finally, you can use a paper towel to pat down the noodles and dry them somewhat. This makes it easier to use shirataki in a variety of recipes. As shirataki are a great substitute for all types of noodles, they work very well in a stir fry dish mixed with meat and vegetables. Try a selection of vegetables including onions, mushrooms, beansprouts, sliced bamboo root, peppers and any other vegetables you have available combined with some thinly sliced pork, chicken or beef. For the sauce use sesame oil, soy sauce, mirin, some crushed ginger and garlic and a little chilli pepper if you like a slightly spicy taste. Oil a pan and then add the vegetables when it is hot and cook for 2 minutes. You can now add the shirataki noodles to the pan and begin to cook them with the vegetables. The high heat of your pan can help to dry out the noodles so that they are not too rubbery in texture. You can now add the sauce and simmer for another few minutes until everything is cooked. Serve immediately for the best taste. Just because shirataki are Japanese, it doesn’t mean that they aren’t suitable for other dishes which are not Japanese. This Italian style dish works great with shirataki as they can be used as a pasta or spaghetti replacement. Start by making a pesto sauce. To do this, slice up some fresh basil leaves, crush some garlic and pinenuts and mix them together well with a little olive oil. You can also add a small amount of grated cheese for a richer flavour.Try mixing these ingredients in the food processor to get an even, smooth paste. If you have already boiled the shirataki, you can leave them to cool off in a colander, otherwise boil them for a few minutes. Now mix the shirataki well with your pesto and serve chilled with some chopped cherry tomatoes for a healthy way to enjoy a classic Italian-esque meal. Chicken noodle soup is a great comfort food when you are ill and just because you have a cold, it doesn’t mean that you can’t get better with a healthier option of this classic dish. Start off with some small pieces of chicken made into thin strips and leave them to boil in water with some ginger and garlic. Leave this to simmer for 20 minutes so that the soup base has plenty of flavour. Now add some mushrooms, spring onions, corn, soy sauce and your shirataki noodles to your pot. Cook for a further few minutes and then serve with some fresh spring onion as a garnish on top. You can even swap out the chicken for tofu if you prefer to use a vegetarian option of this dish. 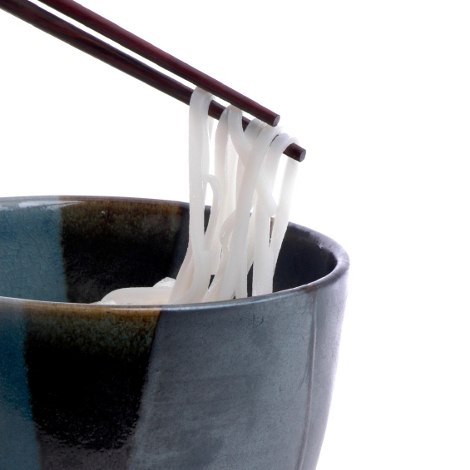 Let us know in the comments if you have any other interesting way of preparing these shirataki noodles! Posted in Food and tagged Diet, Healthy, Noodles, Shirataki. Bookmark the permalink. Fantastic idea…I am always on the look for low calories food and this is another great idea…will buy them asap on line and try some of the recipes.